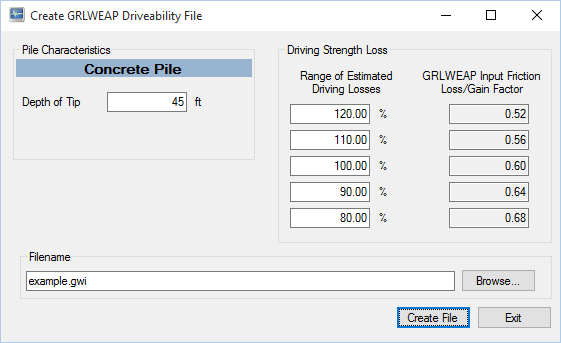 DrivenPiles is a program for determining ultimate vertical static pile capacities. From the original author of the FHWA DRIVEN program. Features the same computational methods and capabilities of DRIVEN, with important enhancements. A fresh, sustainable start, where ongoing feature updates and maintenance are a priority. Backwards compatibility with the DRIVEN software and file formats. Runs on both 32 and 64 bit Windows; including Windows 7, 8.0, 8.1, and 10.  Update to the Overlying Sands & Gravels model; now extends to at least a depth of 40b regardless of the number of Cohesive soil layers. Input & results in English or SI units, including ability to switch between unit systems. 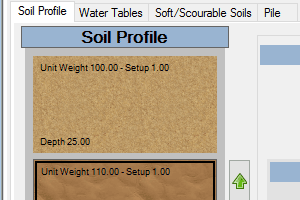 Improved soil profile data entry. 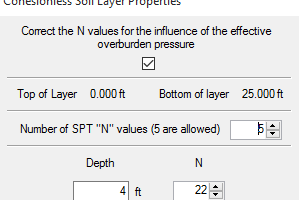 Support for custom H-Pile Dimensions. 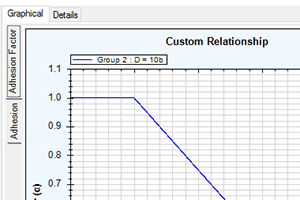 Ability to define custom adhesion relationships. 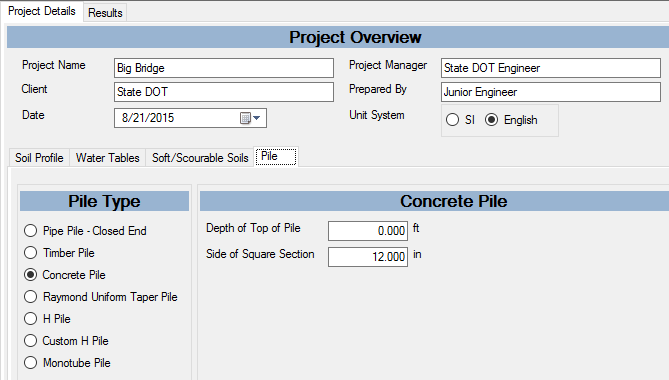 The project overview includes general information about the project, including which unit system to use. 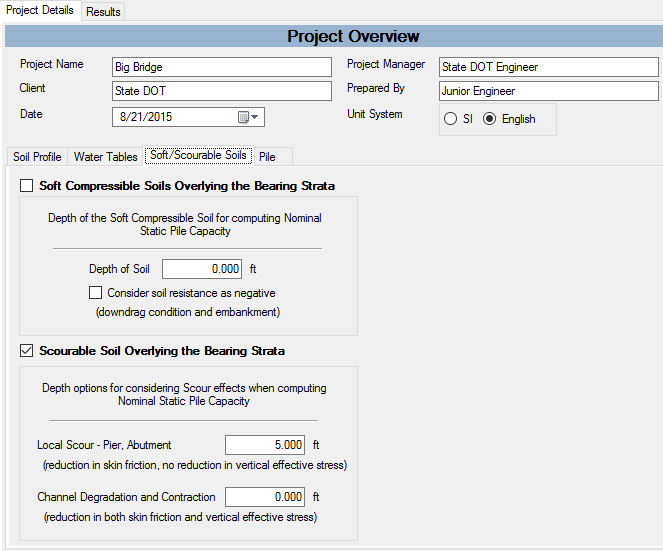 Below the Project Overview is a section where the details of the project are entered: Soil Profile, Water Tables, Soft & Scourable Soils, and Pile type. 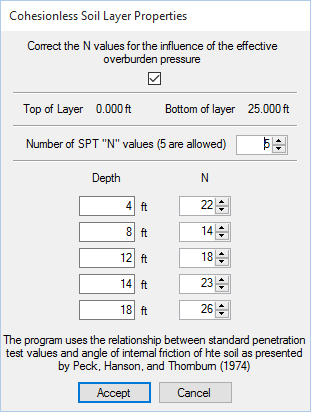 SPT blow counts for cohesionless (sandy) soils may be entered; separate values for Skin Friction and End Bearing. 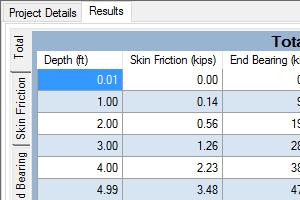 From this data, DrivenPiles computes the Internal Friction Angle. 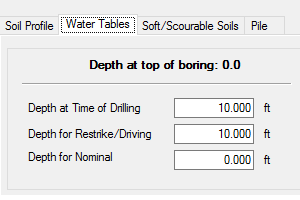 Water tables at time of drilling, driving, and design may be entered. 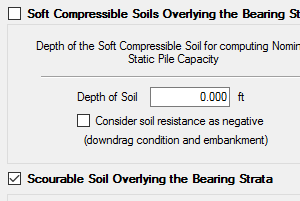 DrivenPiles provides options for Soft Compressible soils and Scourable (short and long term) soils. 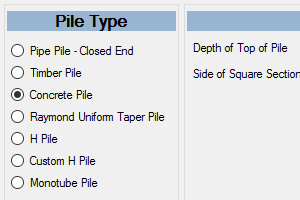 DrivenPiles supports many different piles types. Results can be viewed in graphical form. The graphs can be zoomed/panned and copied to the clipboard for use in a report. Results can be viewed in a tabular form. 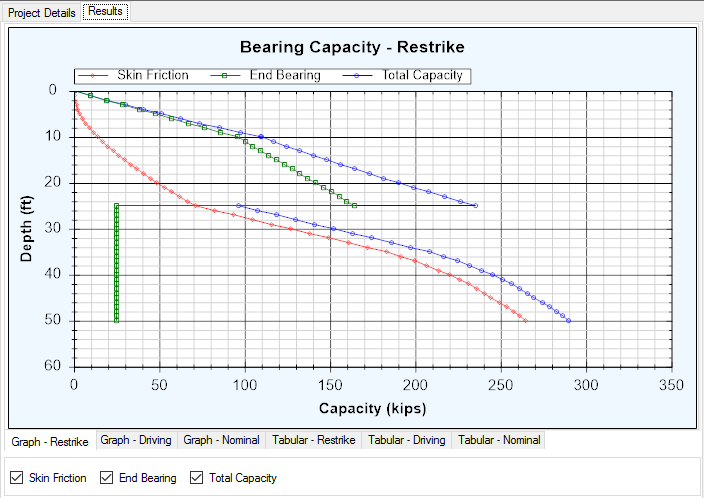 The results include overall skin friction, end bearing, and total capacity. 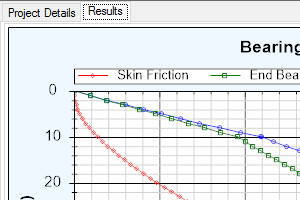 Additionally, other tabs provide detailed insight into the skin friction and end bearing computation. Any of the tabular results can be copied and pasted into other applications for additional analysis or use in reporting. 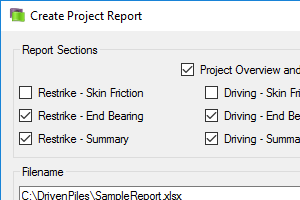 DrivenPiles provides a customizable report generation capability. 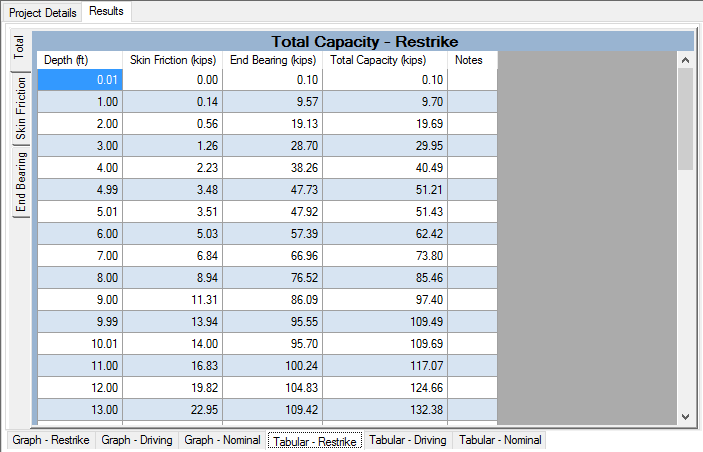 Individual sections can be selected for inclusion in an MS Excel or PDF generated report, including the graphs. 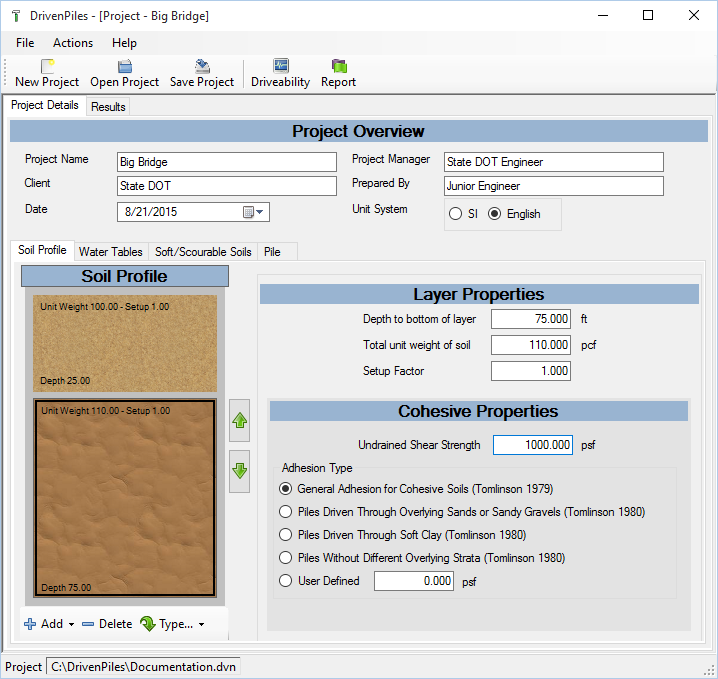 Create custom adhesion relationships and use them in your projects. 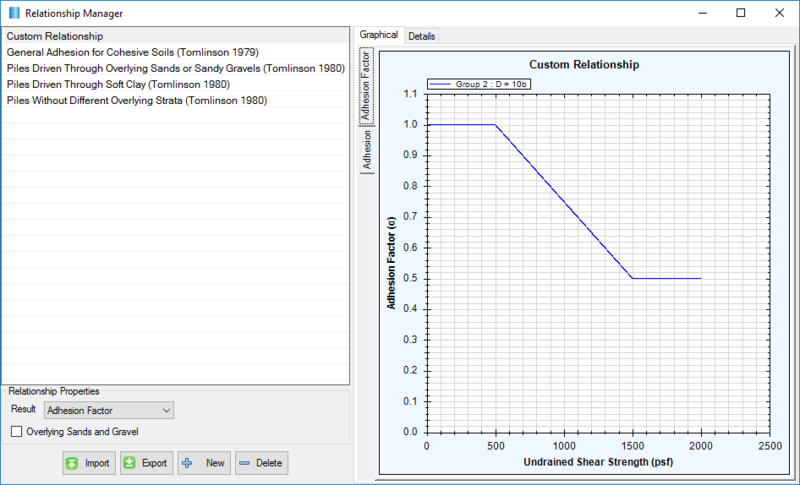 This capability also allows for the visualization of the existing and custom defined adhesion relationships in both tabular and graphical form. 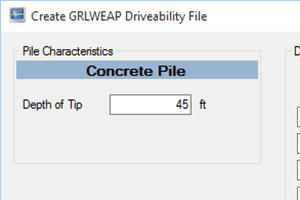 DrivenPiles can generate a GRLWEAP Driveabilty file (gwi) for use in the GRLWEAP Software. Copyright © 2019 Multidimensional Software Creations, LLC. All rights reserved.